Clive+Daniel Home joins the neighborhood and is open in Boca Raton! 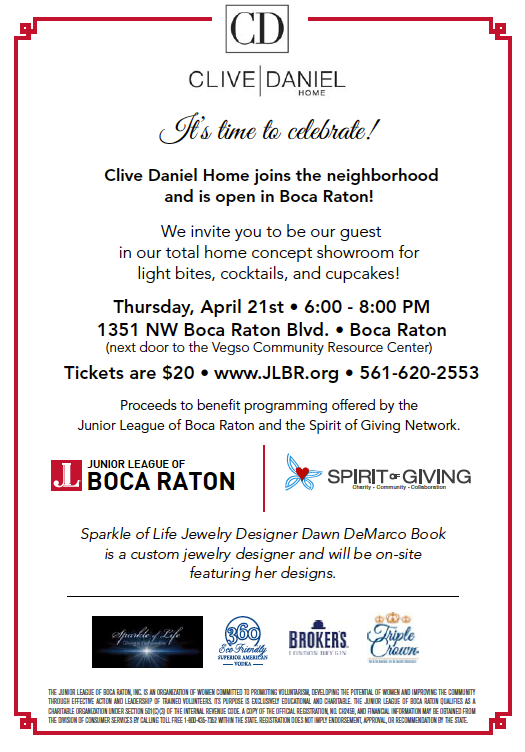 Join JLBR and Clive Daniel to experience their total home concept showroom for light bites, cocktails, and cupcakes! 1351 NW Boca Raton Blvd. Proceeds to benefit programming offered by the Junior League of Boca Raton and the Spirit of Giving Network.